The Friends of the Macomb Public Library District is a nonprofit organization. This organization is made up of area residents interested in the promotion and welfare of the library as a cultural, educational, and recreational asset to the community. Membership runs April to April of each year. Become a member. Donate Books and Media for Sales! If you would like to down-size those extra books you have, we will take hardbound and paperback books that are in sale-able condition throughout the year. We also take DVDs, CDs, audio books, and long play records. Find out more. Write a brief review of a book you’ve read and submit it to K-Joswick@wiu.edu along with your name and occupation. Kate is in charge of our weekly column, “What are you reading?” in the McDonough County Voice. Children and youth reviews are also welcomed. Check out our latest newsletter “The Bookmark” to keep up to date on not only what we are doing, but getting tips on use of the library, interesting reading and research information, and much more. 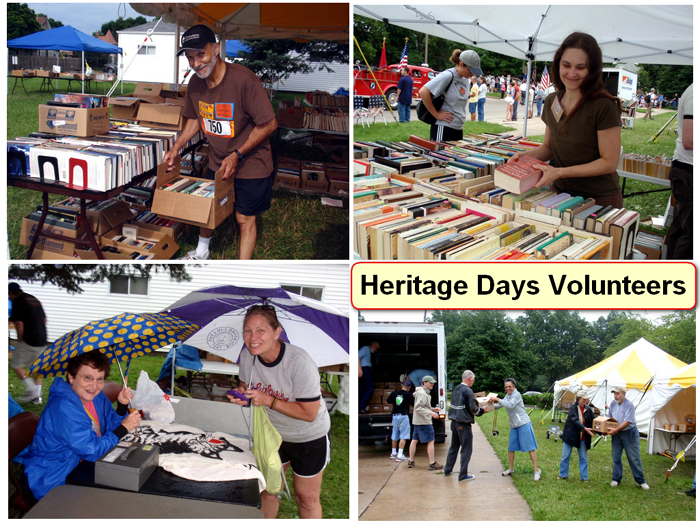 There are several ways to volunteer including restocking the free book rack at the Macomb Train Station, adopting a shelf at the library, delivering books to nursing homes, and helping with the book sales. See Get Involved for a complete list of opportunities.